This afternoon I would like to share a definition update Microsoft Security Essentials, Which Microsoft Security Essentials & ForeFront Client Security Definition Updates - Protects your computer from any kinds of malware, viruses, Trojans and spyware. It is a complete update package that will help your computer function properly by assisting the antivirus to do the desired tasks. 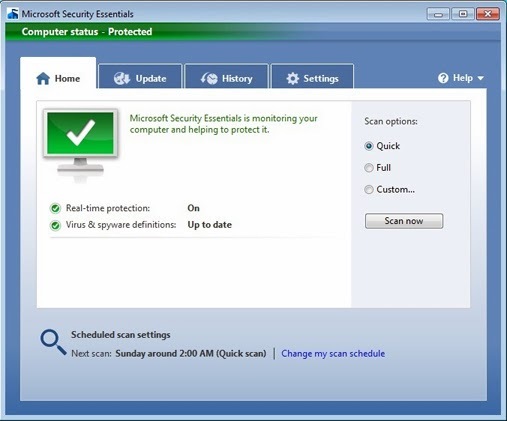 The package includes information for both Microsoft Security Essentials and Microsoft ForeFront Client Security. - Microsoft Security Essentials and Microsoft ForeFront previously installed. - X32-based version of Windows to run an X32-based version of Microsoft ForeFront Client Security. 0 Response to "Microsoft Security Essentials & ForeFront Client Security Definition Updates November 21, 2013"